Some clients are still on the old QuickBooks Full Service Plan. Over the last few years, Intuit has been migrating these plans to Subscription pricing model and is phasing out the Full-Service plans. Now the only way to purchase new QB Enterprise software is via the new Subscription plan. You still download and install your software just as you have done previously. To help understand the change we will explain what the differences are between these two options. FSP is optional, but when you renew it, you had to pay annually. Without FSP you lose your benefits. Enhanced payroll had to be a separate subscription. The enhanced payroll has an average cost of $70 per month plus direct deposit fees depending on how many employees you have and which subscription you are on. Old FSP was limited in the user options. They were limited to 5, 10 and 30 user. Under this model, you are signing up for an annual subscription and have the option to pay annually or monthly. You can bundle enhanced payroll by choosing the Gold or Platinum edition, and direct deposit is FREE. You get exactly the number of users you need. Options are now: 1,2,3,4,5,6,7,8,9,10 & 30. The subscription option is not hosted if you wish to bundle that it is discounted as well and those options are 1-30. Please note: if you have an active enhanced payroll subscription, please let us know so we can have it migrated properly so the annual billing, extra fees will end and you can run payroll. Reach out to CBG to discover your savings and understand this change. If you want to order or view our special pricing click here. If you order through us and have an active full-service plan, we will help you navigate the migration so that you are given all refunds due to you for any active full-service plans or payroll subscriptions. 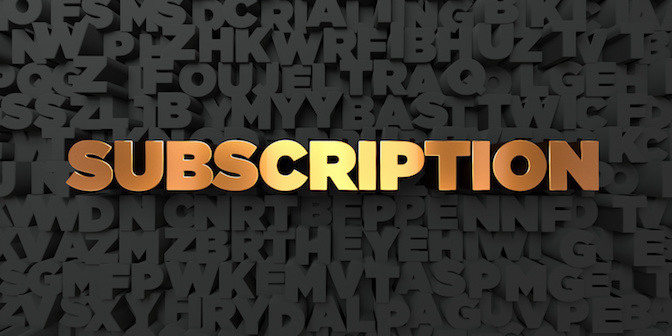 Moving to the subscription can save you money in the long-term.